Home » Bollywood News » Amrita Arora plays peacemaker for Malaika, Arbaaz Khan? Amrita Arora plays peacemaker for Malaika, Arbaaz Khan? Last week pictures of Malaika Arora and Arbaaz Khan, who are waiting for their legal separation went viral. 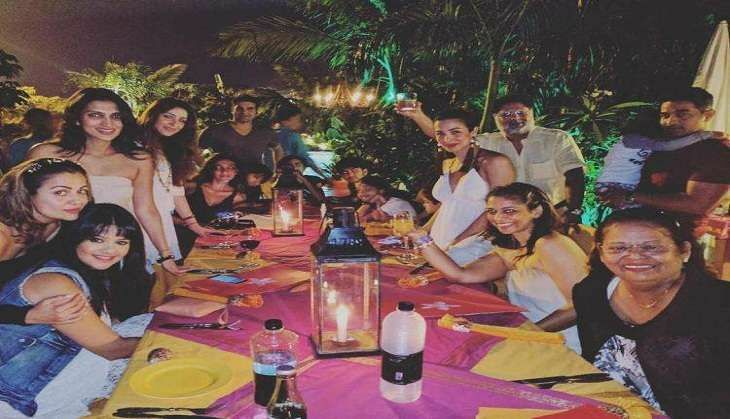 The ex-couple was seen bringing in New Year together in Goa along with their kids, rest of the family and close friends. Amrita and Malaika had reached earlier and Arbaaz is said to have joined them later. A source says, "Amrita shares a special bond with Arbaaz and his entire family. Even after the news of their separation came out, she was often seen attending functions and festivals with them. During the New Year, she apparently tried to make peace between them, especially to sort out the alimony thing." There have been many reports about how Malaika is demanding more than Rs 10 crores from Arbaaz as alimony, though there is no confirmation of the same, from either of the parties. It is said that the couple is trying to work out things and there is no amount being discussed so far. However, their together picture amidst these rumours has definitely surprised everyone.